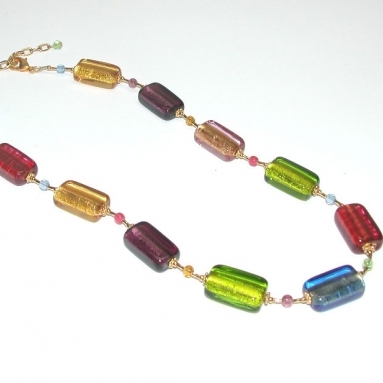 Ricciolo and Beads Multicolor Necklace - Murano Glass Jewelry - Murano Glass Gifts Co. 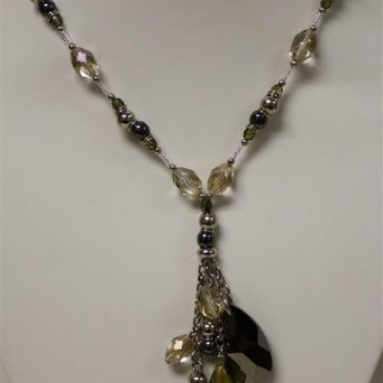 This is a combination piece. 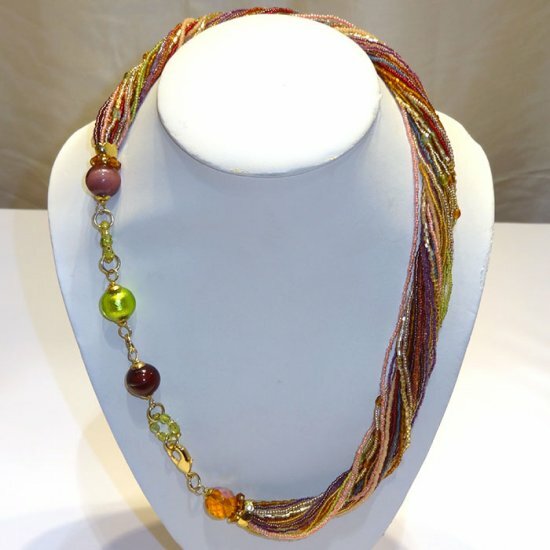 It consists of a portion of seed bead string-twists and another portion of beautiful globes of different colors and three seed bead rings. 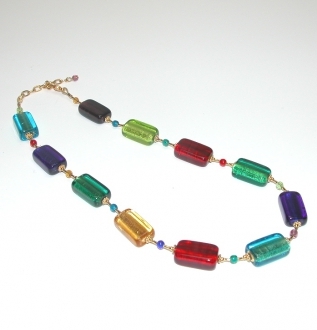 The ricciolo is made of strings of multicolored seed beads with transparent cut seed beads. 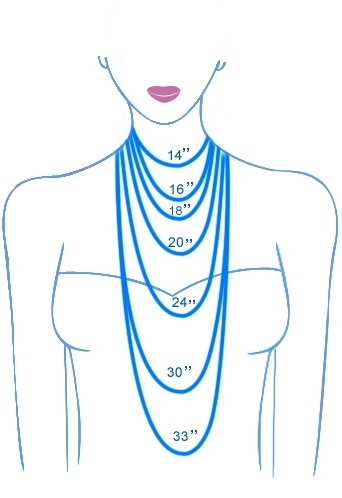 The advantage is that you can wear this in different ways – ricciolo around your neck and globes in front, globes around your beck and ricciolo in front or both on either side. 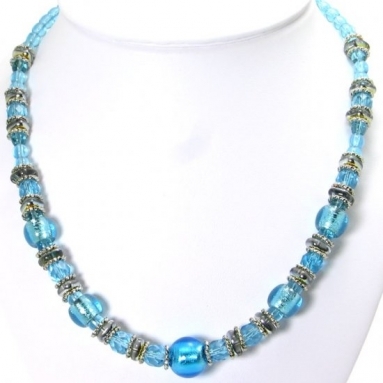 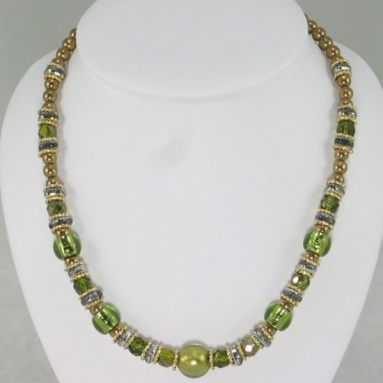 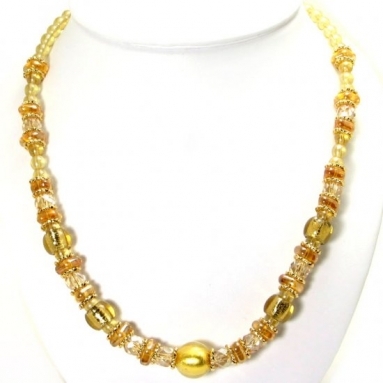 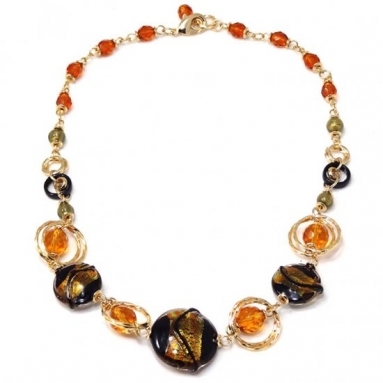 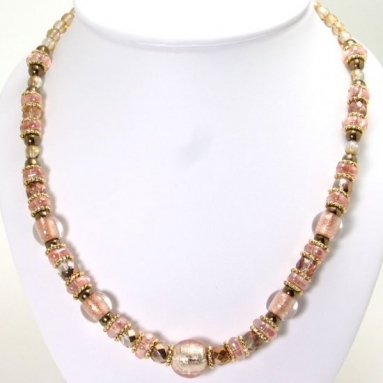 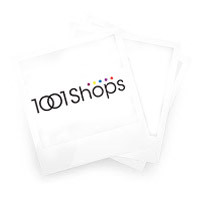 This is a stylish necklace that will go with any type of dresses.